Download the brochures for the Undergraduate and Graduate Programs. In place since the fall of 2015, the Cree Succession Program allows employees with management potential to fill gaps in their education or experience to access managerial positions. 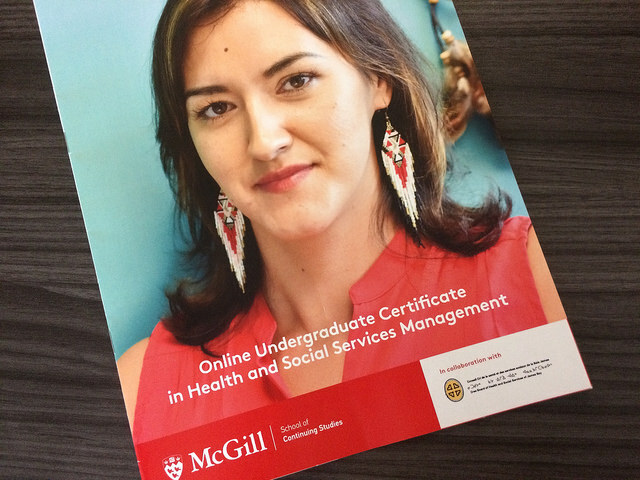 Through the CSP and in partnership with McGill University, the CBHSSJB supports employees in meeting their objectives and developing the next generation of Cree leaders. Over the course of one to three years, depending on each candidate’s past experience and motivation, the successful applicants are given opportunities to upgrade their qualifications and gain the knowledge and skills needed to fill future management positions at the CBHSSJB. Taking into consideration the academic background of each candidate, two paths are possible. The first is to follow an undergraduate certificate in health and social services management and the second is to follow a graduate diploma in health and social services management. Most courses are offered online in the evening and some may be offered during working hours. The ideal candidates must demonstrate leadership potential, with excellent communication skills and an aptitude for managing human, material, and financial resources in the health and social services field. 37 employees divided into three cohorts are presently enrolled in the program. 22 employees in two cohorts are pursuing an undergraduate certificate and 15 employees in a third cohort are pursuing a graduate certificate. The expected graduation dates for the three cohorts are in the fall of 2019. Note: applications are not being accepted at this time (Summer 2017). This Program is for JBNQA Beneficiaries who are employees of the Cree Board of Health and Social Services of James Bay.